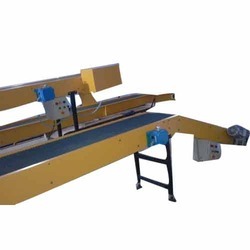 Our product range includes a wide range of packing conveyors, horizontal modular belt conveyor, belt conveyor, saw teeth belt conveyors, aluminium profile conveyors and telescopic conveyors. 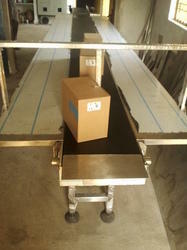 We manufacture customized Industrial Packing Conveyors as per the product size and the requirement for the packing line. Our conveyors can be customized using different types of belts depending on the product type load. Side working platforms, carton trays, counting sensors, weighing units, presses, trimming/rework tables etc. can be incorporated with our conveyors. The machine is made as per your requirements. We are leading manufacturer of different types of Modular Belt Conveyors links horizontal conveyors, side flex conveyors, multi flex conveyors, inclined cleated belt conveyors, sidewall cleated belt conveyors. 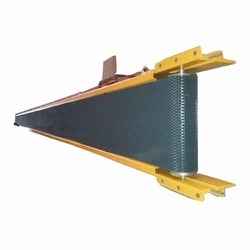 We are involved in manufacturing and supplying finest of the Belt conveyors. Our range is utilized to move various materials from one location to another in the same building. Offered range of Belt Conveyor is reckoned amongst the clients for its high precision and accuracy. These products are high in demand and is widely utilized in the industrial sector as it saves the time, money and labor. 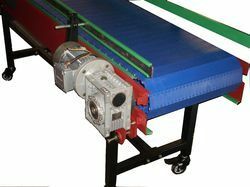 With the help of our state-of-the-art infrastructure unit, we are able to manufacture and supply the superlative quality of Saw Teeth Belt Conveyors. Our offered belt conveyors are manufactured using supreme quality components and ultra-modern technology in sync with industry norms. The provided belt conveyors are tested on different parameters under the guidance of our quality examiners so as to ensure their quality at clients' end. We offer top quality Aluminium Profile Conveyors. 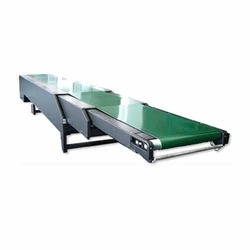 Our conveyors are catering to the needs of various industries viz. packaging industries, automotive industries, assembly lines and pharmaceutical industries. These conveyors have tremendously helped in improving the production line. 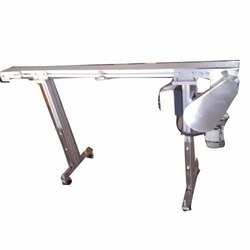 We are into offering exclusive range of Telescopic Conveyors that is widely used in the industrial sector with its ability to bear heavy load. It is widely used to transfers various materials from one place to another within the same location. 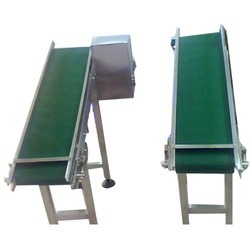 Owing to the utilization of our Telescopic Conveyors range, person is able to save energy, labor and time. Moreover, our range is widely cherished for flawless performance and trouble free operations. Our exclusive range can be availed at the industry leading prices. To meet the specific client's requirements, we are involved in offering a quality tested range of Pharmaceutical Belt Conveyors. Our exclusive range is known for its precise performance and high strength. Moreover, customers can avail our range at cost-effective prices. We are able to ensure safe and timed dispatch in the market, thereby winning over the trust and faith of our clients.